The Enterpriser’s Project defines digital transformation as the integration of digital technology into all areas of a business, fundamentally changing how you operate and deliver value to customers. In a world where technology is advancing at a rapid pace, digital transformation should be a required strategy for any organization. To be successful, workplaces must build a digital culture where employees embrace new technologies. Be sure to provide a clear message to employees about what is coming down the pike. Address the key components of what digital transformation is and keep employees informed on what changes they’ll see, what the impact will be, and the likely timeline. Employees should be included in the digital transformation process by having an opportunity to discuss/debate advantages and possible disadvantages of new technologies. They should have a forum to ask questions about new tools and platforms and the most recent technologies such as AI and machine learning, and also feel empowered to share concerns and discuss ways to mitigate risks related to any upcoming transitions. Once there is a timeline in place for your company’s digital transformation, management should be clear with employees about what that is and make sure they are adjusting as necessary. Provide structured goals for employees and monitor individuals’ progress. After explaining the digital transformation occurring in your workplace, employees will need to keep up-to-date with their technical knowledge. It may be beneficial to employees to take courses or undergo trainings for professional development. Brandeis GPS provides online Master’s degrees in tech-rich fields including Strategic Analytics, Digital Marketing and Design, Digital Innovation for FinTech, Robotic Software Engineering, Instructional Design and Technology, and more. At GPS, you can take up to two courses for professional development before enrolling in one of our 12 online Master’s programs. Brandeis GPS also works with employers through corporate partnerships, providing tuition scholarships and/or training and continual conversation around educational support for companies. For more information about our 12 online Master’s degree programs or to learn more about taking courses for professional development, contact gps@brandeis.edu, call 781-736-8787 or visit www.brandeis.edu/gps. The saga of finance technology, dubbed “fintech,” is on a delayed start compared to other industries. When the proverbial innovation alarm clock rang around 2004, a digital revolution ignited media,telecom, retail, and other nimble segments into transformation. New ideas, technologies, and companies emerged and became entrenched in our daily lives. In the meantime, financial services hit the snooze button… but why? In the 1950’s, the invention of the credit card was thought to render physical cash obsolete. By the 1960’s, ATMs appeared, threatening the existence of live tellers and bank branches. Starting in the 1970s, stock brokers ditched phone and paper based trades for electronic systems. From 1998 on, consumers and retailers began transacting for goods and services through linked-bank accounts via the online payments system, PayPal. Major advancements in banking technology have happened every decade since the end of the Second World War, but none harnessing the disruptive power of the revolution we’re facing today. ups and investors. Concepts such as peer-to-peer lending, digital wealth management, and the first fully electronic currency, Bitcoin, became the focal point of innovation. The theme shifted to the ‘unbundling’ of core banking services often thought as too large, too complex, and too regulated to face disruption. Highlighted below are two of the more prominent technologies involved in the paradigm shift of the banking industry. Blockchain, the distributed ledger technology and buzzword associated with Bitcoin, and robo-advisors, or digital wealth platforms changing the way we manage personal portfolios. What is it? Distributed, immutable, and fully secure database technology. Underlying engine of bitcoin, and supporting technology for peer-to-peer payments worldwide. What is it? Umbrella term for digital wealth management advice. Covers anything from fully-automated and algorithm-based portfolio generation to digital client engagement tools used by human wealth advisors. For advisors, broaden scope of managed portfolios beyond high net worth individuals and increase AUM, especially by engaging and targeting millennials. Enhanced market analytics and insights to provide clients. From behemoth banks to lean start-ups, the appetite for seasoned bankers, savvy coders, and entrepreneurial-minded individuals who can bridge the tech and finance gaps is growing. According to LinkedIn data from September 16, 2016, there are over 450 fintech job recommendations between New York, San Francisco, and Boston, and over 650 in London. And these figures ignore the opportunities unlocked by starting your own fintech. If you’re interested in learning more, a great place to start is the MS in Science for Digital Innovation offered by Brandeis University. The program condenses the fintech ecosystem, and blends the finance and technology skillsets required to build your own personal fintech toolkit. And the secret sauce? The program is taught by experienced professionals who are engaged in the academic, finance, and technology communities. The finance digital revolution is upon us, and our economy is becoming increasingly mobile and on-demand. 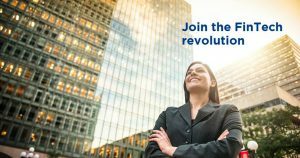 Become an active participant in the movement and take the opportunity to learn new topics, network with like-minded individuals, and explore how companies are changing the way banking is conducted worldwide. Soon, you will become the face of the fintech revolution as well. Josh Deems is an AVP and business strategist at State Street Corporation’s Emerging Technologies Center. Prior to joining State Street, Josh was a management consultant, focusing on operating model improvement and digital experience for asset managers. Josh holds a Bachelors of Business Administration from the George Washington University with a concentration in finance. Did you know that Brandeis GPS offers courses for professional development? Enroll in an online course this fall and network with new colleagues in a 10-week, seminar-style online classroom capped at 20 students. Registration is now open and we’re celebrating by profiling our favorite fall courses. Whether you’re looking to complete a full degree or advance your career through professional development, this course will change the way you think about designing for the user experience. Fall courses run Sept. 14-Nov. 22. Whether you’re looking to complete a full degree or advance your career through professional development, this course is designed to equip you with the necessary skills for making an impact in any industry or organization. Take a part-time, online course this fall without enrolling in one of our graduate programs. If you like what you learn and want to continue your education, you can apply your credits from this fall toward a future degree. Questions? Contact our enrollment team at gps@brandeis.edu or 781-736-8787 or fill out our first-time registration form and we’ll be in touch. GPS is excited to announce the launch of a fully online, part-time master’s degree that is the first of its kind among U.S. colleges and universities: a Master of Science in Digital Innovation for FinTech. The FinTech degree is geared toward creative thinkers who work for organizations that rely on technology for providing efficient financial services and systems. Developed in conjunction with experts in the field, the program seeks to service a global financial industry where digital advancements are becoming increasingly critical to economic success and market growth. A March 2015 report published by Accenture shows that investments in FinTech tripled between 2013 and 2014 alone. To stay competitive and meet industry demands, startups and international corporations alike will need to invest in untapped technologies and innovations. Students interested in joining the MS in FinTech’s inaugural cohort should submit their applications by Aug. 16, 2016. Students may also take individual courses prior to applying for admission or for professional development purposes. Registration for the fall 2016 term opens on Aug. 23, with courses beginning Sept. 14. Visit www.brandeis.edu/gps for more information.